On Amazon.com you can now get this LEGO Ninjago S.O.G. Headquarters Building Kit for just $25 shipped (regularly $39.99). This LEGO set includes 5 ninja figures and the headquarters measures over 5″ high and 12″ wide when built. 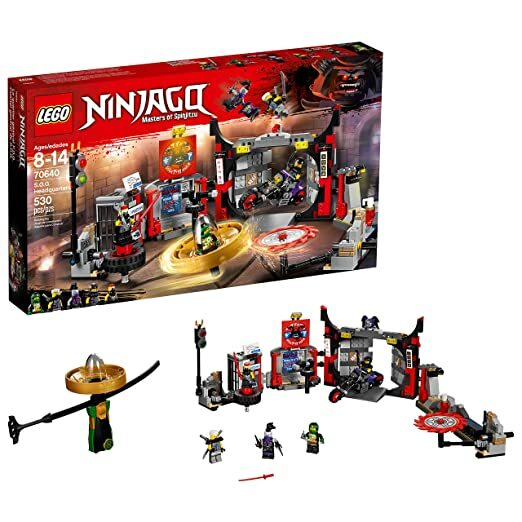 It features explode-function gates with the Oni Mask of Hatred element, spinning wheel, dojo, and a motorbike workshop plus a NINJAGO Spinjitzu spinner.